After seeing our advertisement in Country Life magazine she admired the clean and attractive design of the featured Orangery and arranged a design consultation with one of our nationwide designers. 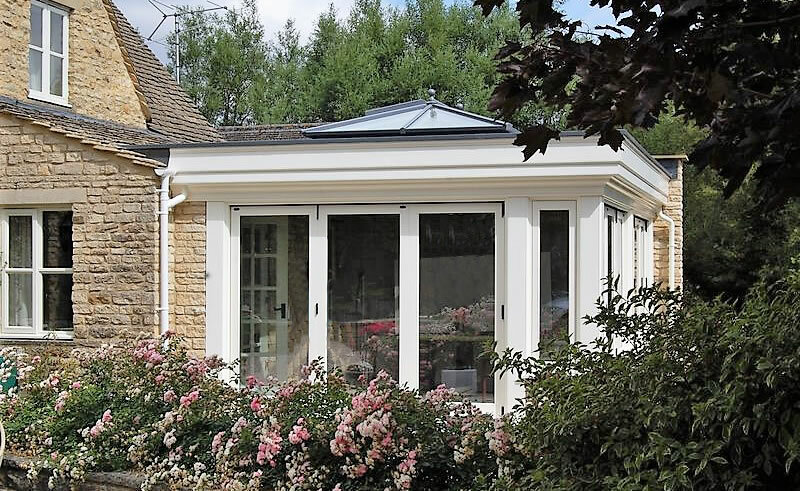 Mrs Jennings discussed her requirements with our designer and together they decided an Orangery would be the perfect solution to bring natural light into her home, ensure there were uninterrupted views of her garden and prevent the views from her first floor windows being compromised. 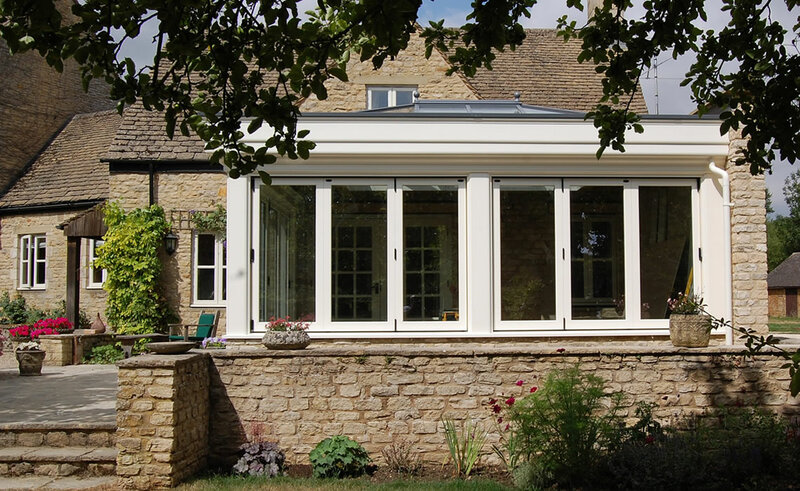 The Traditional Orangery design is also less opposing when trying to obtain planning permission due to its height. 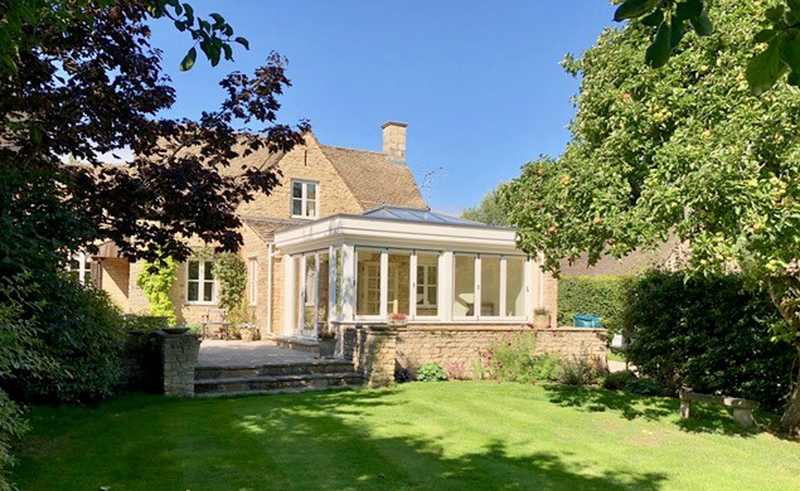 Mrs Jennings carefully selected the colour of the project to complement the existing window joinery ensuring the contemporary Orangery extension would harmonise with the charm of the existing property. 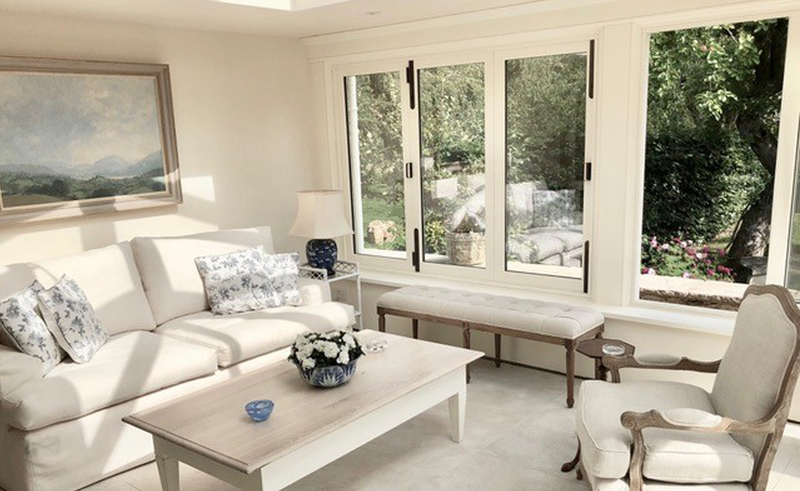 Wanting to be able to open the whole orangery out into the garden in the summer, Mrs Jennings also opted for bi-folding windows to one elevation and bi-folding doors to the front elevation. ‘In summer I can fold all the windows back and virtually sit in my garden but in part shadow and no wind.’ A Montpelier Orangery truly allows you to enjoy your garden whilst protected from the Sun and wind, cascading just enough shade to keep the room at an ambient temperature throughout the summer and encouraging in enough natural light to keep the room warm in the winter. 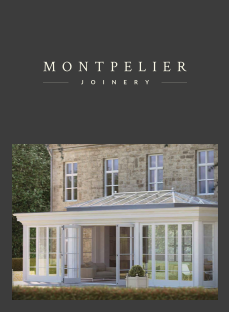 Montpelier Joinery prides itself on craftsmanship and attention to detail. Every element of each project is designed and executed to the highest standard. 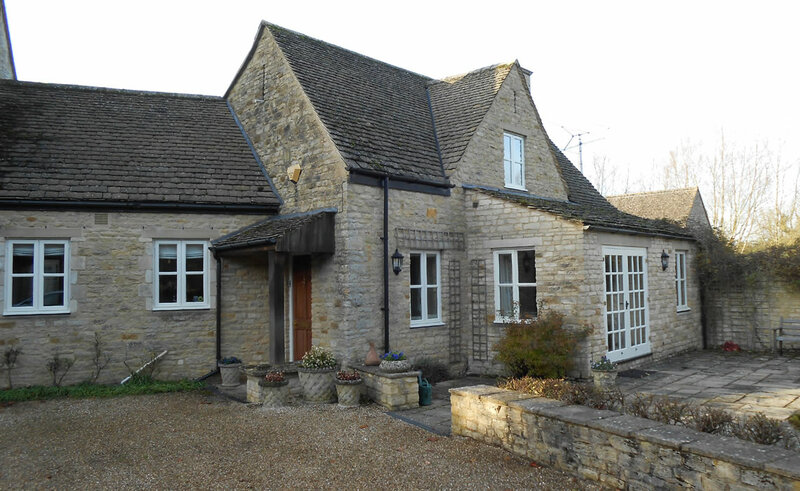 This project features eaves details which form a hidden gutter and the aluminium downpipes were finished in keeping with the colour of the Orangery extension. All of which helped Mrs Jennings achieve the clean look she so desired from the advertisement. Overall the Orangery is a wonderful addition to the house and it offers light all year round just as Mrs Jennings had hoped for!